If constructivist theory is what all learning and teaching is based upon how well do we know and understand it? How do we help students understand the philosophies they have constructed and how they by and large determine the choices they make and the emotions they experience? If a child has given up on herself and has reasoned that she is hopeless how then can she develop her potential? If she has hit a psychological brick wall and can’t push through it or clamber over it what can be done? This psychological impasse has a negative affect on the student and if schools are not equipped with the means to support her then nothing changes for that student. Could educators unwittingly be peddling a brand of negative psychology in schools? If educators are addressing behaviours only and applying consequences to them this is not enough as the underlying individually constructed beliefs that give rise to dysfunctional behaviour and emotions aren’t being addressed. We can ask children to ‘believe in themselves’ and have posters on walls around the school but what philosophy underpins such self-belief? How do we teach it? Recently an educator (Ms. Di Namic), a self proclaimed ‘passionate teacher’ and a strident critic of ‘poor’ teaching believes that a ‘good’ teacher (like herself maybe??) can compensate for the psychological barriers that students have developed over a life time. Well-prepared, knowledgeable and passionate teachers can achieve this according to Ms Namic. These students can be ‘inspired’ out of the doldrums by the teacher’s passion and verve! A more enlightened educator commented that ‘I had a great physics teacher at school. Loved him but I didn’t learn a thing.’ The point is that teacher competency; enthusiasm and dedication in themselves are not enough to help disengaged students who are emotionally and behaviourally unwell. Dr Albert Ellis founded Rational Emotive Behaviour Therapy in the 1950’s, a philosophy based form of psychotherapy, the forerunner of other cognitive therapies like CBT and Choice Theory amongst others. Martin Seligman acknowledges the influence Ellis’ work had on his Positive Psychology approach. Ellis’ ABC Theory of Emotional Disturbance helps people to identify the errant personal philosophies they have constructed, how these affect their moods and behaviours and how they can deconstruct them and replace them with more helpful habits of believing. This approach is educative and empowering and is used the world over to help people sort out their emotional and behavioural problems and has great potential for students from preschool age upwards. It enables teachers to help students understand why they feel and act as they do. 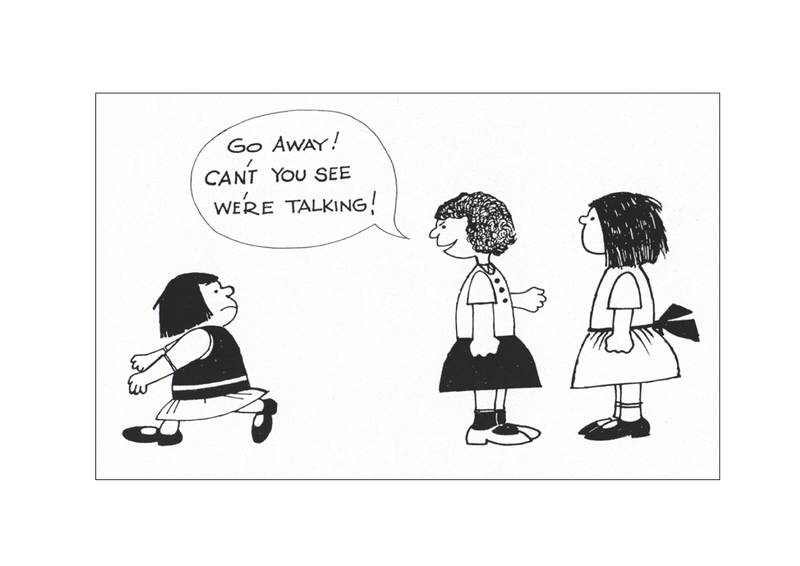 It is not enough to focus solely on the behaviours we observe (behaviour management?) but also on the underlying beliefs students have constructed (behaviour education). The Whyalla REBE School Cluster in South Australia delivers the REBT mantra to students across all year levels i.e. THINKING FEELING and BEHAVING are all linked. The behaviour we observe and accompanying emotions are the visible (and audible) expressions of individually constructed personal philosophies, which can be rational or irrational (they either help or impede progress towards our goals). Rational Emotive Behaviour Education educators promote positive psychology in schools through Albert Ellis’ ABC Theory of Emotional Disturbance. They not only describe behaviours but teach students where their choices of behaviour come from, a very powerful teaching competency! To do otherwise is not enough as the status quo prevails where students remain in a mire of self-doubt and helplessness (a cycle of negative psychological disturbance) disengaged, alienated and at great emotional and behavioural risk. I am the best - the teacher told me so! 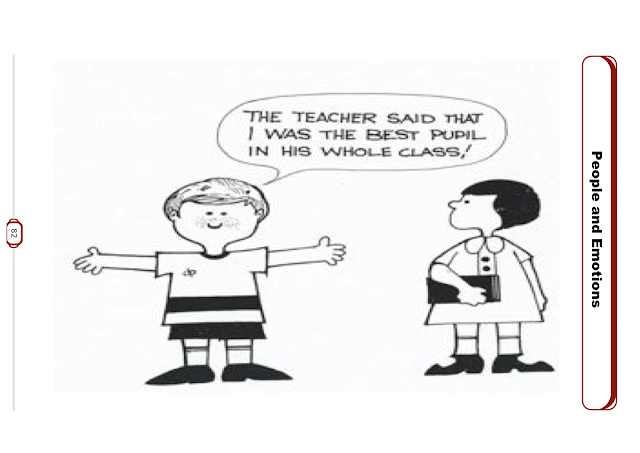 The poem below is written from the perspective of the student who is not the best pupil according to the teacher. A group of schools in Whyalla, the Whyalla REBE School Cluster, teach these ideas through Rational Emotive Behaviour Therapy across all curriculum areas. A good thing to do indeed! And there’s no point in trying anymore. That prove what you say is true? That this is all about! We are worthwhile because we exist! As much as it will hurt you! The scenario below (*People and Emotions) can be viewed with your students through the REBT lens. What behaviours do we notice? What are the actions and posture of the participants? What is being conveyed non-verbally? What roles can we identify? Who is the victim and who is the bully? What is the third persons role? How might the actors be feeling? What are the strength of these emotions? There may be common emotions shared by all and some particular to an individual. What might the bully be feeling? What might the bystander be feeling etc? REBT’s ABC Theory of Emotional Disturbance teaches students that our own personally constructed philosophies about others; the world and ourselves largely determine how we feel and behave. Using this model invite students to suggest what is happening in this picture. Here we identify A i.e. what happened. Part C of the ABC Theory is how each individual might be feeling and behaving as a consequence of A i.e. what happened. What may not be so obvious is B: what could each be thinking? What are each persons constructed core beliefs and what strength of emotion and choices of behaviour might each demonstrate in response to A and B? Through Rational Emotive Behaviour Education students can suggest whether an individual might be thinking in OUGHTS SHOULD or MUSTS. They might identify an attitude of CONDITIONAL ACCEPTANCE OF OTHERS in the bully i.e. people must conform to my stereotype of what is cool or normal. If they don’t they should be punished. They are bad. They might also suggest that the bystander is suffering from the dire need of the bully’s approval? She must like me. I need her to like me i.e. CONDITIONAL ACCEPTANCE of SELF. They also may determine that the bullied person has issues to do with confidence. This always happens to me. I’m such a failure. I deserve this (Conditional Self Acceptance). These ideas help students understand that core beliefs are linked to the choices we make and the emotions we experience. They are not made solely by the situation (A) but also by the way we think about A (B). This has implications for teaching, counselling and parenting practice. 2. Teach children Unconditional Acceptance of Others. This helps students develop the attitude that its OK to be different and that others don’t have to THINK and ACT like they do. 1. Self - Accepting students have a high degree of immunity to the slings and arrows of bullies. They are also less likely to be bullied as they project a sense of confidence about themselves. 2. People who Accept Others are less likely to want to bully others. They may not like a behaviour or a quality of a person and can choose not to associate with her but their total worth is not at question. School Cluster, Whyalla in South Australia. Do you think you have nothing to offer?